Gregory Pest Solutions is so thankful to have such an experienced, smart and caring leadership team. 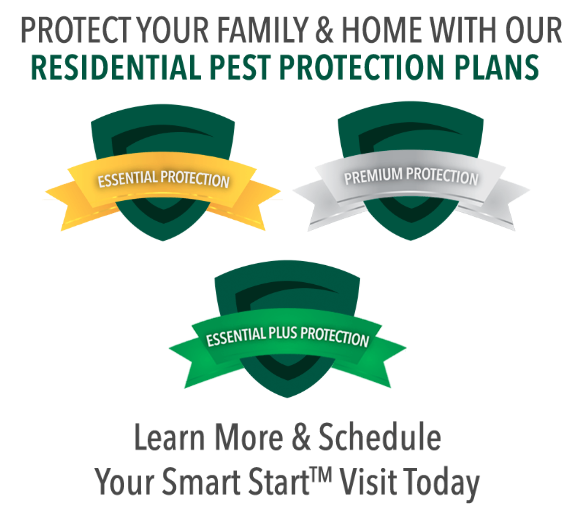 Through their leadership, Gregory has been able to become one of the most respected and largest pest providers in the United States. Now serving in eleven states throughout the Atlantic Corridor and the Southeast, Gregory is poised to continue to grow and thrive. From the very beginning to this day, both Phil and Sara have been actively involved in the daily management of Gregory Pest Solutions. Currently, the Gregorys both serve in leadership roles in the organization and keep a steady pulse on the growth and development of the business and the Gregory team. Phil served as President of the South Carolina Pest Control Association in 1983 and 1984. He also served as the President of the National Pest Management Association from 1990 – 1991 and won the PCT Crown Award in 1994. Phil Gregory has also been named Life Member of the National Pest Control Association Board of Directors. While many other pest control companies have struggled in recent years, Gregory Pest Solutions has thrived. And it is mainly due to the original philosophy that started Phil and Sara Gregory on this business venture: taking care of people. For Gregory Pest Solutions, it’s a core value that remains just as relevant today as it did in the beginning. 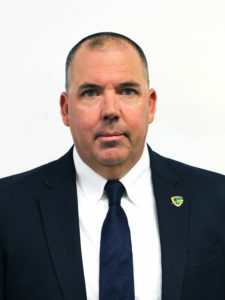 Ben Walker received his Bachelor of Science degree in Finance from Bob Jones University in 1990 and began his Gregory career in 1997. He assumed his role as President in 2005 and became a partner in 2010. Under his leadership, Gregory has grown into one of the largest pest control companies in the United States, spanning the entire southeastern and mid-atlantic region. 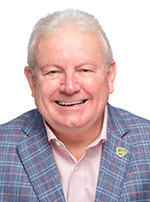 Ben has also become a noted leader in the pest control industry including past roles as President of the South Carolina Pest Control Association, Director for the National Pest Management Association, and Vice Chair for Copesan Services as well as many other industry leadership roles. As General Manager, he is responsible for managing business operations as well as oversight of the Information Technology, Business Solutions Center, and Technical Departments. Larry joined Gregory Pest Solutions in January 2010 through a business acquisition of Pest Management Resources which he founded in 2003. He has a B.S. degree in Entomology from the University of Georgia and over 30 years of industry experience. He is a Board Certified Entomologist in two categories, Medical/Veterinary Entomology and Urban/Industrial Entomology and holds numerous certifications in a dozen states. Larry is a member of the Leadership and Development team at the Gregory Pest Solution’s corporate office in Greenville, South Carolina. Larry recently held the position of Director of Operations as well as Director of Training and Development for 4 years. He also previously managed the Lawn Care, Wildlife, and Aquatic Services Divisions which includes mosquito control. He is a Past President of the South Carolina Mosquito Control Association and currently serves as Vice President, and is a former board member of the Georgia Mosquito Control Association. Larry is an integral part of the business and our interface with clients. Ryan joined Gregory in November 2009 as the new Director of Client Relations tasked primarily with developing and running the then newly formed Client Support Center. From there, his role changed and expanded to include his current position as the Director of Accounting, as well as overseeing the development and implementation of various special projects throughout the organization. Ryan is a graduate of Clemson University and received his Bachelor of Science degree in Management with an emphasis in Entrepreneurship. He currently resides in Simpsonville, SC with his wife, Jamie, an English teacher at Mauldin High School, and two little girls Lily and Kathryn. On his days off, Ryan enjoys tailgating with friends and family at Clemson Games, being on the water as much as possible, cooking, and working on various woodworking/blacksmithing/metalworking projects. 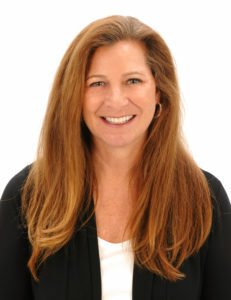 For the last 40+ years, Tammy has been involved in the pest management industry. Starting in September 1977 as a Sales Representative, she has held several positions in the company. After moving into administration, Tammy has held the following positions: Administrative Manager, Human Resources Manager and Customer Service Manager, managing over 18 individuals. Tammy’s experience and dedication is to Gregory’s clients. In February 2015, she was awarded the position of Executive Account Manager maintaining our high profile clients. Began work in the pest management industry in 1998 in the Charlotte NC area. Brad served in several technician roles including termite sales, termite service, residential pest sales, residential service, commercial service and food grade service specialist before assuming management and quality assurance roles in the food grade and industrial commercial services. In 2007, came to Gregory Pest Solutions developing and implementing a quality assurance program prior to being named the Director of Technical Services in 2009. Work experience has included: fumigations, general pest control and wood destroying organism areas of the business. He became the “go to man” for third-party audit compliance within the companies where he has worked and for their clients. Brad is a member of the Copesan Technical Committee and serves as the committee’s Chairman-Elect. He has authored articles for the PCT Magazine as well as a chapter on Customer Service in “PCT Guide to Commercial Pest Management”. He is currently working on several new writing projects in his spare time. Time off for Brad is consumed with family time, projects at home, his dog, his honeybees, his tractor and writing about life. Bruce joined Gregory Pest Solutions in July of 2017. Bruce received his Bachelor of Science degree from Western Illinois University and has over 32 years of experience in the pest control and lawn care industry. Bruce has held various positions beginning as a sales representative, service technician, Sales Manager, Branch Manager, Region Manager, and has been a part of sales and marketing teams that have produced unprecedented growth and created an industry leader. Bruce has extensive experience in call center management, commercial sales management, door to door management, and branch and region management. His primary function is to plan, organize, lead, and coordinate sales success and growth activities, company-wide. Bruce has earned a reputation of being an excellent team builder and a goal achieving, results-oriented pest control professional. Bruce is extremely excited about being a part of the leadership team at Gregory and is looking forward to achieving Gregory Pest Solutions growth plans in the future. On his off days, Bruce enjoys family, golf, and college football. Sherry is a Senior Human Resources Professional and joined the Gregory team in 2018. She received her Bachelor of Science degree from College of Charleston and has over 25 years of Human Resources and Training experience. Her experience has varied from service industries, to manufacturing, education, non-profit and the retail sector. 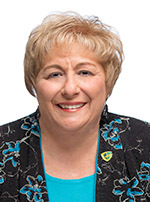 During her career, she has had experience in all facets of HR, including: Compensation, Benefits, Recruiting, Organizational Effectiveness, Safety and Compliance. Additionally, she has worked with a variety of companies during times of accelerated growth and loves the challenge and excitement that come with it. Sherry believes in building relationships with managers, supervisors and individual contributors in order to build teamwork and promote positive employee relations. Sherry is a Greenville native and passionate about being a part of the leadership team of a local company and contributing to its success. As an industry professional, Jason believes that working in pest management is so much more than controlling pest problems. He believes in building relationships with his customers and educating them about how to reduce pests in their homes and businesses. He takes pride in solving the challenges with a devotion to doing the job and doing it right. With a focus on key commercial accounts, Jason specializes in highly sensitive accounts. Working with hospitals, food processors, pharmaceutical accounts, and various auditing programs, his knowledge is invaluable. He has helped individuals prevent and control pests in commercial businesses that range in size from small startup companies to industry leaders. With 15+ years in the industry and with GPS, Jason’s career path has led him to different positions within the company. As the former District Manager for the Upstate, SC, he has earned a reputation of excellence in the industry and is now the Regional Director over areas covering South Carolina, Tennessee, Alabama, Mississippi, Louisiana, and Florida. Jason is a Certified Food Safety Manager and is licensed or certified in SC, VA, TN, NC, and FL. Kip has been in the pest management industry for 13+ years and has been part of the Gregory team since 2006. He began his career in pest management as a service technician through many positions including; commercial sales representative, district manager, and director. Kip now is the regional director for NC, SC, VA, MD, DE, KY, and the DC area. He is also one of our Certified Food Safety Managers with Gregory Pest Solutions. His experience includes bed bug education and control, canine handling, and sales. He is the team leader of his territory and sets the tone for Quality and Service Excellence. On his days off, Kip enjoys playing golf (3.1 handicap), drinking fine wine, smoking cigars, driving his jeep, and enjoying his dogs. Derek is originally from Miami Florida and began work in the pest management industry in 1995. Derek has served in multiple roles as a Residential and Commercial Technician in both Pest and Termite. He has also served as a Fumigation Division Manager and excelled in Operations and Branch Management. In 2010 Derek came to Gregory Pest Solutions, where he currently serves as Regional Director and provides oversight to the Special Services Division which includes mosquito control, wildlife, bird work and BedBug. Derek is an avid Outdoorsman, and when not at home with his wife Nicole and three children, you will most likely find him deep in the South Carolina woods or on a Golf Course. Derek is a Certified Food Safety Manager and is licenced or certified in AL, GA, SC, TN, VA, KY, and NC. Khori has proven experience in IT and will continue leading the IT Department as it grows and takes on even more challenges in the future. He is responsible for overseeing all of the mobile, software and hardware technology in the company, as well as being a vital part of making the transition of our acquisitions smooth and successful. As Director, Khori will also serve as a member of the Leadership and Development Team. Khori joined Gregory Pest Solutions in June of 2012 as a member of the call center and was soon promoted to Call Center Supervisor in 2013. Khori’s information technology background led him to the role of Manager of the I.T. Department in 2014. 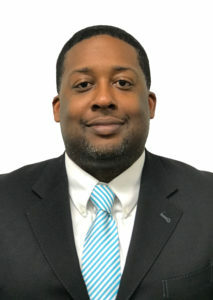 Khori earned his Bachelor’s degree in Computer Science from Anderson University in 2004 and shortly after obtained his Master’s Degree in Management Information Systems from The University of Phoenix.